Universal Studios Discount Tickets – Best Deals Available! Here are the best current deals from legitimate re-sellers, for Universal Studio Discount Tickets! We have tips on how to save on one and two day tickets, as well as combo tickets if you want to visit other parks too. 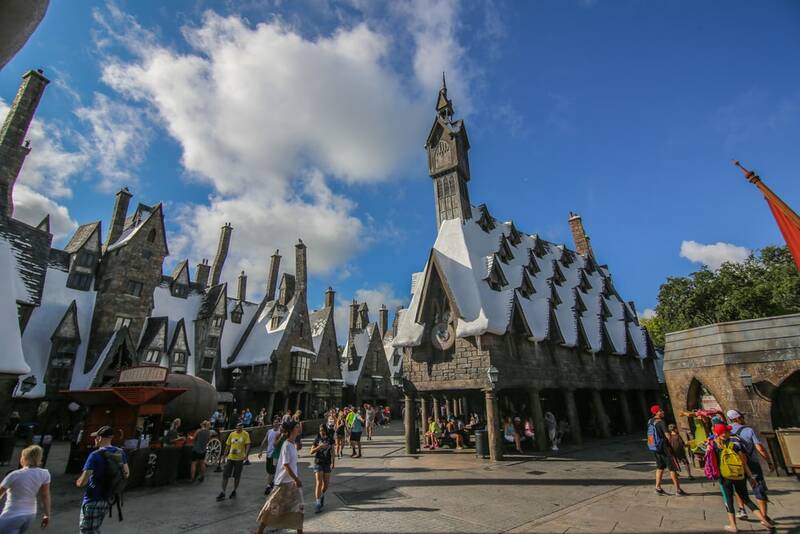 Universal Studios is a popular theme park to visit with both families, and especially families with older kids, or those that are big Harry Potter fans. If you are planning to visit either the Hollywoood or Orlando locations with your family, and are looking for great savings we have a round up of the best offers for both locations here. Believe it or not, it seems to be one of the parks that offers fewer deal offers, but there are a couple of very reputable re-sellers that provide some nice savings for both locations, and we have highlighted them below. 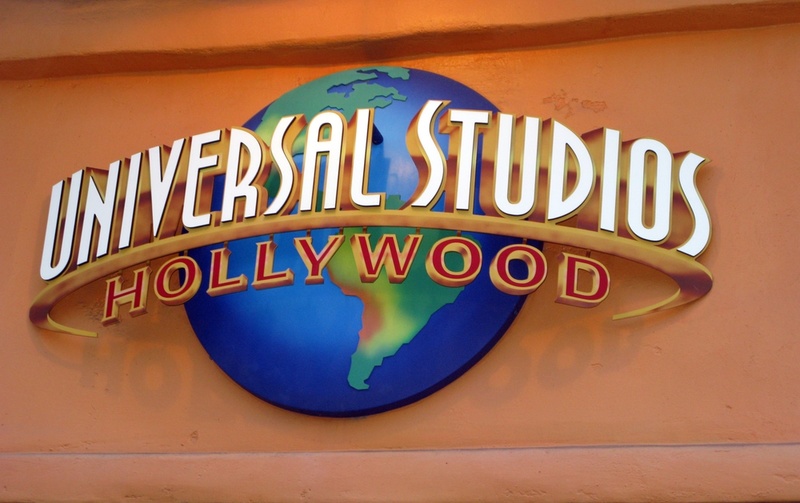 Get Away Today has the following discount tickets currently available for Universal Studios Hollywood (we have personally traveled through them on more then one occassion, and they are great!). 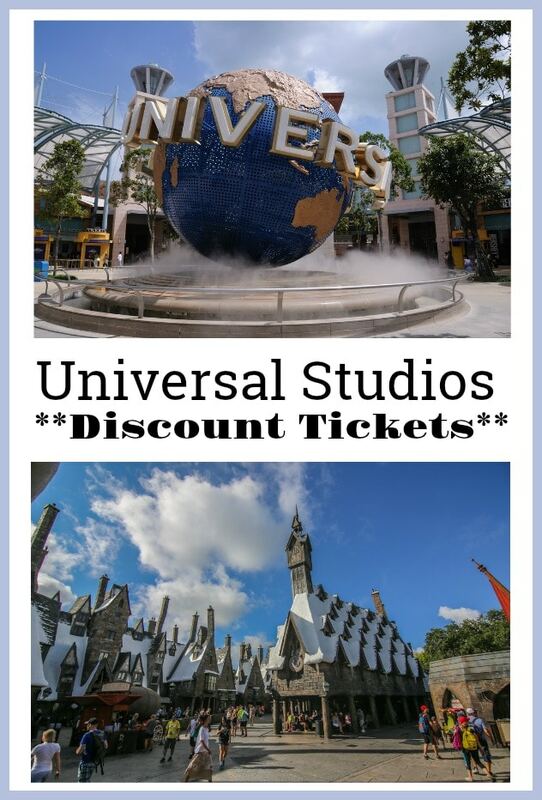 aRes travel has some nice deals on discount tickets for Universal Studios Hollywood too! Here are some examples of their offers. Adults (ages 10+) – $115 (Reg $169), that works out to $57.50 per day! Buy Combo Tickets to Universal Studios + Disneyland (or whatever attraction you want to visit), directly through retailers like aRes, for a discounted price. Unfortunately, cards like CitiPASS and do NOT include Universal Studios. 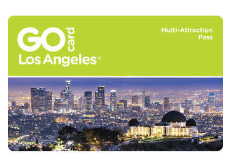 There is something called a GO Los Angeles card (they have them for multiple destinations). These cards can help you see multiple attractions, and you can build your own itinerary. To get one that includes Universal Studios, you will have to buy a 3 day+ pass. They go up in price depending on how many days you want to use it (so its $219 per adult and $189 for a child 3 day pass for example). They often will offer you an extra 10% off when you sign up for their emails, for extra savings. Note, there is also a Go San Diego card, that offers different attractions, and does not include Universal Studios. 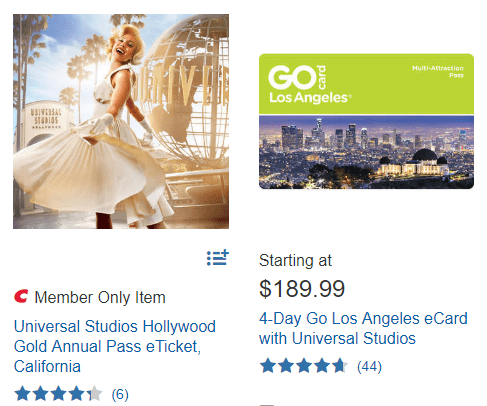 Costco Deals for Universal Studios – from time to time, the Southern California Costcos will carry discount tickets for the parks. If you are a Costco member, it may be worth calling a store in that area to see if they are available. Costco also has this page with their Theme Park discounts (currently they have a Universal Studio Gold Annual Pass deal available, and they have a deal on the Go Los Angeles card we mention above – these can change at any time though, so find the current deals here). For most of these online offers you can buy them even if you are not a Costco member, you will just have to pay a 5% surcharge. The exception is when it says “member only item”. Discount for AAA members – Either check with your local office, or this site here to find current discounts available with your AAA membership. The offers can vary by region, so we recommend calling your local office to see what the best offer available to you might be at any given time. Looking for Universal Studios Orlando Tickets? Here are our favorite ways to save there. 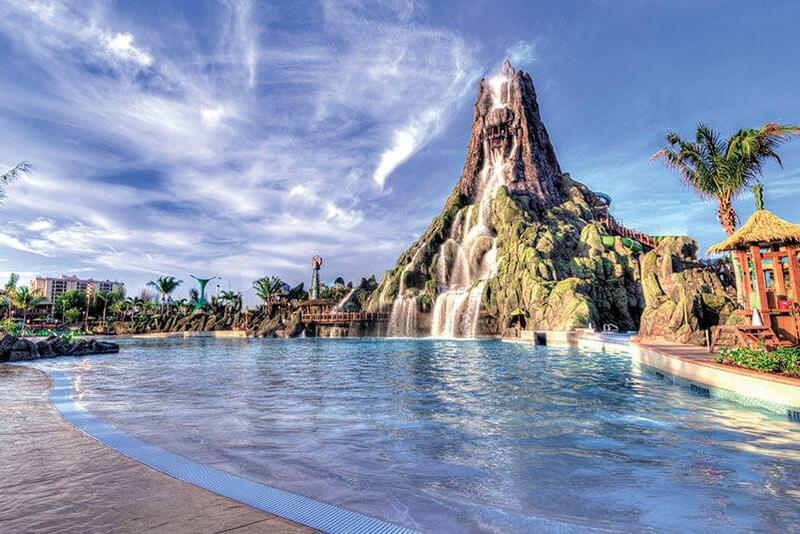 If you are looking to visit the Universal Studios theme park in Florida, you will also want to determine if you want to go to the Volcano Bay water park as well, as this will determine what kind of tickets you will want to purchase. The waterpark is separate from the Universal Studios Theme Park, but looks pretty spectacular. It does sit right off of one of the main freeways in Orlando, so its easy access, but traffic can be an issue – and it was not quite the setting we were expecting for a tropical theme park (in the heart of city life). 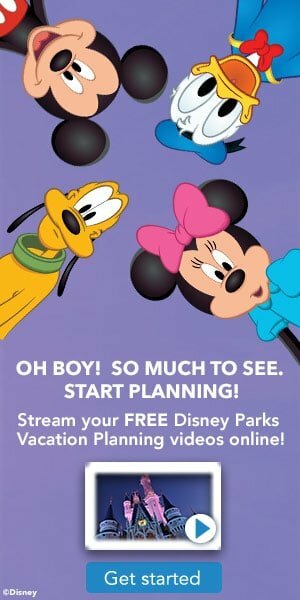 Florida has fewer discount options, and we find that Undercover Tourist provides the best deals for the Florida Parks. If you are a Military Member or Veteran, Shades of Green offers some great discounts for the Florida area theme parks as well.